On May 10th the very busy 71st legislative session came to an end. Over the last 120 days 681 bills were introduced, over 400 were sent to the governor to be signed into law, the Judiciary Committee, which I had the honor of chairing, heard 99 bills, and I was able to pass 17 of my own. The divided legislature worked collaboratively as every bill needed bipartisan support. Balanced Budget, SB17-254: On the positive side, despite differing priorities, we passed a balanced budget for 2017-18. It increases funding for K12 education by $242 per pupil, gives a modest raise to state employees and increases reimbursement to Medicaid providers. The largest allocations are to Education K-12, ($4.1 billion), Health Care, mostly Medicaid ($2.8 billion), Higher Education, ($895 million) Human Services, ($866 million) and Corrections, ($775 million). Construction Defects Reform, HB17-1279: We passed long awaited construction defects reform which is expected to reduce litigation and increase the availability of affordable housing, particularly condos. Hospital Provider Fee, SB17-267: We passed an omnibus “Sustainability Bill”, SB17-267, which re-characterized the hospital provider fee thereby freeing up hundreds of millions of dollars under the TABOR cap to help rural hospitals and schools, fund transportation and capital construction projects, and expand the business personal property tax credit. Division of Youth Corrections Reform Bill, HB17-1329: Potentially most impactful, it is intended to transform the culture of violence and physical abuse of kids in Colorado’s detention facilities. It authorizes a pilot program to create a therapeutic and relationship based model based on best practices from across the country while requiring greater transparency. On the day after session, I met with ten former Colorado DYC leaders with a total of 350 years of service; they told me they were universally in support of the bill. DYC must change. Justice Re-investment/Crime Prevention bill, HB17-1326: On the cutting edge of criminal justice reform, this bill creates savings in the Department of Corrections by reducing jail time for technical parole violations and redirects the projected $6 million in savings to the crime impacted communities of North Aurora and Southeast Colorado Springs for crime prevention activities. Local planning groups could promote small business to create jobs or training/apprentice programs, expand educational opportunities to improve academic results and graduation rates and promote community engagement. 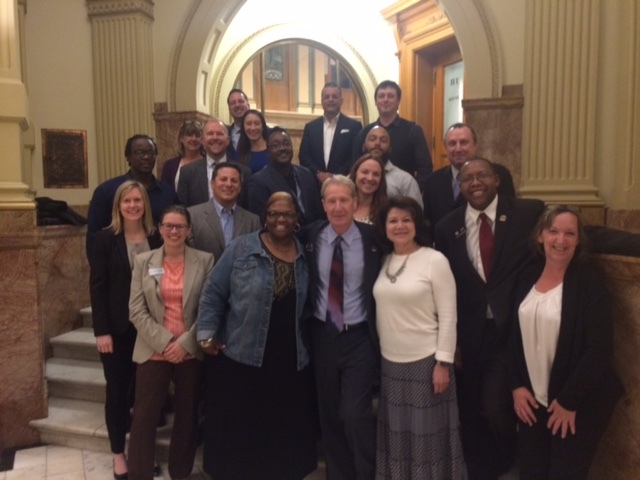 Kudos to Christie Donner and the Colorado Criminal Justice Reform Coalition for instigating the initiative. provides for automatic sealing of juvenile records at the conclusion of the case for most offenses. It will enable thousands of Colorado’s young people to move on after juvenile indiscretions and be able to obtain jobs, education and housing. Juvenile Sexting bill, HB17-1302: Working with Rep. Yeulin Willett (R-Grand Junction) we developed this bill to help educate young people about the dangers and risks of posting graphic electronic images on social media. You can read more about the bill in this Denver Post article. Prohibiting Jailing of 10-12 Year Old Children, HB17-1207: As the title states, it ends the outdated practice and requires the Dept. 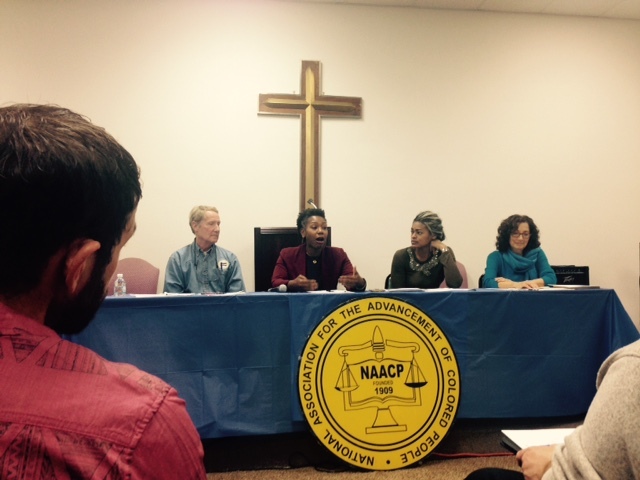 of Human Services to find community placement for children who commit non-violent offenses. Restorative Justice, HB-17-1039: The session would not have been complete without a restorative justice bill. In an attempt to expand the use of restorative practices, I amended the plea bargain statute to authorize prosecutors and defenders to incorporate RJ into plea bargains and to require the Probation Department to consider eligibility for RJ as part of probation. Other important bills that I sponsored include reauthorization of the Judicial Performance Commission, (HB17-1303), Habitual Offender modification, (HB17-1330), reauthorize Domestic Violence Offender Board, (SB17-201), Competency Restoration Services, (SB17-12), and Refund Restitution After Vacated Conviction, (HB17-1071). Despite these successes, there were some disappointments as some important bills failed. Most notable was a transportation bill (HB17-1242) that would have sent a question to voters about raising more revenue to expand and improve Colorado’s roads and bridges. The bill had bi-partisan support from both chambers and passed the House easily, but failed as a result of internal squabbling among the Senate Republican majority. 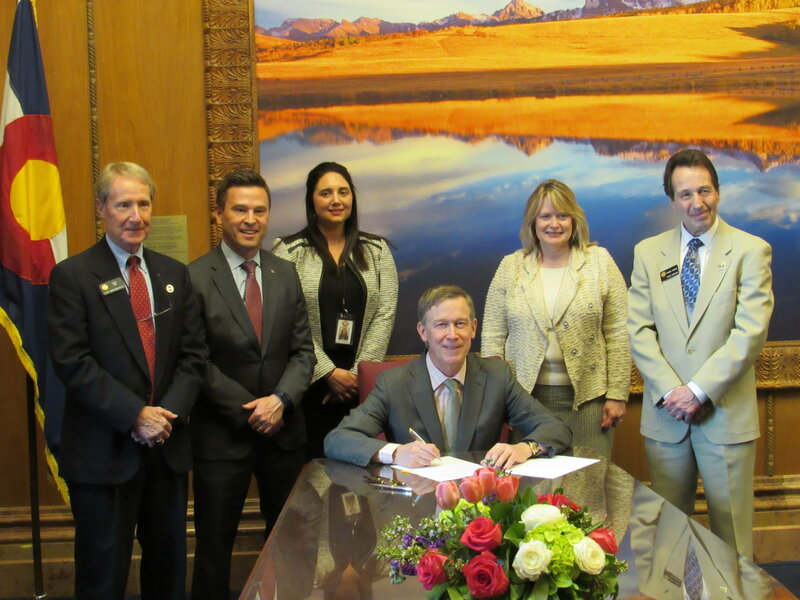 In addition, the Colorado Energy Office was significantly curtailed in an end of session bill (SB17-301). With the session coming to a close I am turning my attention to the summer. I will continue to be busy with public policy issues as I was appointed to chair an Interim Committee on Comprehensive Sentencing Reform. The committee will explore the impact of mandatory minimum sentences, habitual offender statutes and other sentencing tools. We will conduct eight public hearings to listen to experts and can recommend up to five bills to be introduced in legislation for the 2018 legislature. I was honored to be invited to serve on a Juvenile Justice Working Group by the National Conference of State Legislatures. Charged with developing guiding principles for effective state policy, the group will consist of legislators from around the country and hear recommendations about best practices. 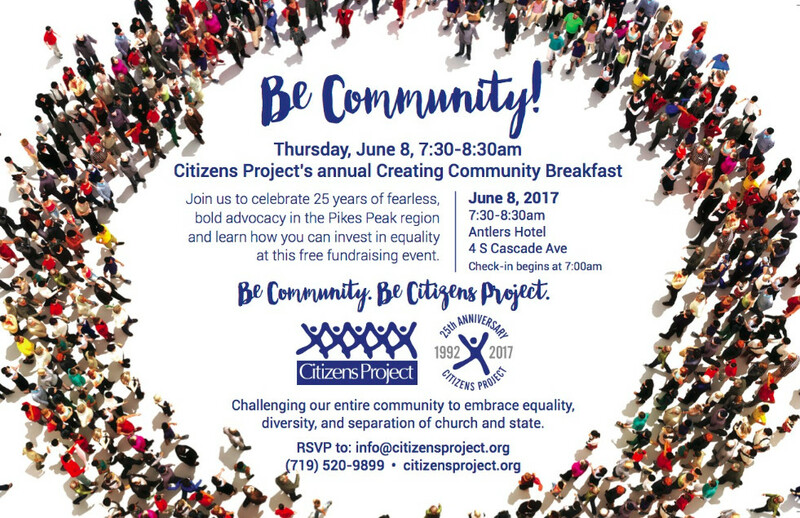 More immediately, I am excited to serve as a table captain for the Citizens Project Creating Community breakfast on June 8th at 7:30 AM. I have been a board member for two terms. Citizens Project is a local Colorado Springs organization dedicated to community engagement, valuing diversity, equality, and the separation of church and state. It is an opportunity to experience the grass roots diversity of our community and I encourage you to attend; RSVP to Joy Garscadden at Joy@citizensproject.org. The iconic Morris Dees, founder of the Southern Poverty Law Center will be in Colorado Springs on Thursday, May 18 at the DoubleTree Inn, courtesy of the Greenberg Foundation. It is a rare opportunity to hear a pioneer of the civil rights movement and indefatigable fighter against bigotry and racism. Finally, to learn more about the work of the 71st Legislative Session, I have attached a summary of major accomplishments.